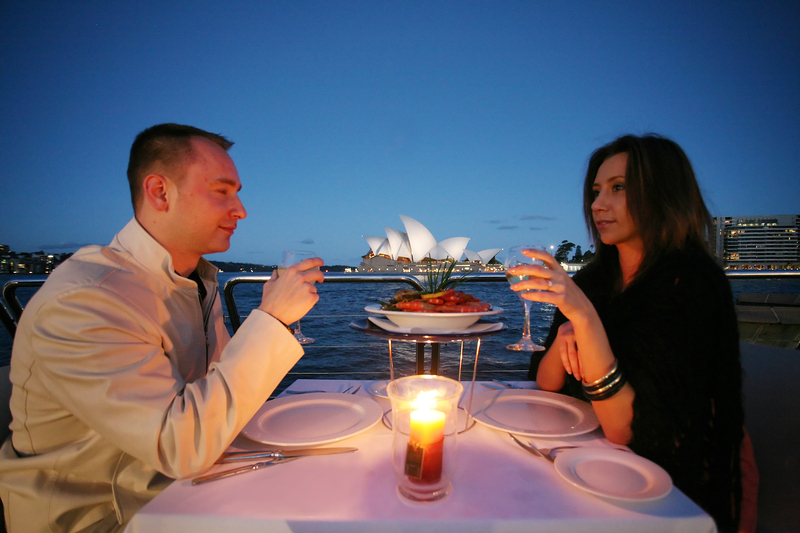 A cosy twosome and a delicious dinner on a majestic cruise over the sparkling, shimmering waters of the Sydney Harbour is a sure-fire recipe for romance. Past the quaint charm of the Opera House and beyond the picture-postcard beauty of the Harbour Bridge – the cruise is a once-in-a-lifetime experience! The conventional attractions of the shores cannot give you the excitement of this night-out on a cruise on the harbour. The far-away lights of the city, the luxury of the cruise, and the enchantment of a stroll on the deck right under the stars provides a joy that is unparalleled on land. The beauty of the Opera House with its shells lit up by the moon, with the Harbour Bridge watching over with its magnificent charm, is a vision that has to be seen to be believed. Photographs cannot give one the experience of the coolness of the breeze, the seductiveness of the waves and the romance of the night! Add to it the flavour of the wine and the taste of the food, and the night is made perfect. If you happen to be in Sydney, don’t miss the Sydney Harbour and the excitement of a Sydney harbour cruise.